Those looking for a tile store in Hollywood, CA, need to look no further than Westside Tile and Stone! 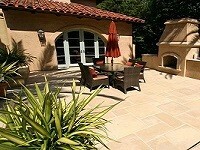 We are literally the perfect tile store in Hollywood, CA and our years of experience prove it. We’ve been in business for more than 12 years and that’s because of loyal customers coming back to us for all their tile needs. Whether you’re a homeowner re-doing your home’s tile, a contractor on a huge gig or simply a handyman looking for tile for a client, we’ve got everything you need and so much more. We offer a wide selection of quality products at the best prices in town. 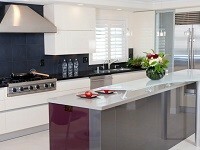 Whether you’re looking for something modern or traditional, we have it all at prices that can’t be beat. That’s why people come to us from all across Southern California! And if you’re not sure what it is that you want, we are more than happy to help guide you in your purchase. With so many years in the business, we can find exactly what you’re looking for to make your project just how you imagined it. Located in the heart of Los Angeles, visiting our Hollywood, CA tile store is more than just your average tile store – we pride ourselves on going above and beyond for our customers, making sure you leave with what you want – whether it’s Granite Tiles, Slate Tiles, Limestone Tiles, Marble Tiles, Sandstone Tiles, Travertine Tiles, Beveled Tiles and more – at prices you won’t find anywhere else.